When would I need an eye doctor? How can an eye doctor help me? What should I expect when I see an eye doctor? The term ‘eye doctor’ is an umbrella term that includes optometrists and ophthalmologists in its definition. Ophthalmologists provide total eye care. They are physicians with a medical degree. The services they give include vision services, eye exams, and medical eye care for conditions such as glaucoma, iritis and chemical burns, surgical eye care for trauma, crossed eyes, cataracts, glaucoma, and other problems, plastic surgery for drooping eyelids and smoothing wrinkles, and diagnosis and treatment of eye conditions. Optometrists, on the other hand, provide vision care and eye care services. They are medical professionals who focus on regular vision care and prescribe eyeglasses and contact lenses. Optometrists perform eye exams, treat conditions such as short-sightedness and astigmatism, prescribe and fit glasses and contacts, provide low vision aids and vision therapy, diagnose eye conditions such as glaucoma and cataracts, prescribe medications for certain eye conditions, and participate in pre- or post-operative care for people who need surgery. You may need an eye doctor, first and foremost, if your doctor suggests that you need to visit one. If you need routine eyeglass or contact lens care you will also need an eye doctor, or if you have a specific medical eye condition. If you are struggling with your vision, or in any way feel that you are struggling to see things, near or far, or having trouble reading, it is advisable that you see an eye doctor. If you are experiencing bulging of one or both eye, a dark curtain or veil that blocks your vision, distorted vision, excess tearing, eyelid abnormalities, high blood pressure, injury to the eye, loss of peripheral vision, misaligned eyes, new floaters (black strings or specks in the vision), pain in the eye, or unusual red eye, you will need to see an eye doctor. An eye doctor can help you in many ways. An eye doctor can both diagnose and treat a wide range of eye problems, and provide you with eye and vision tests, medical eye care, plastic surgery, eyeglasses and contact lenses, as well as vision therapy and medications. An eye doctor will also fit your glasses and provide after care in order that your eyesight is regularly checked, ensuring that your prescription glasses or lenses are right for you. After you have filled out your patient paperwork, you can can expect to be taken to an examination room to meet your eye doctor. Your eye doctor will ask about your general health and any family of history of eye diseases or problems, before carrying out a vision test. He or she will check your close and distance vision. Your eye doctor will also carry out tests for glaucoma and do an eye exam, will check all the different parts of your eyes. 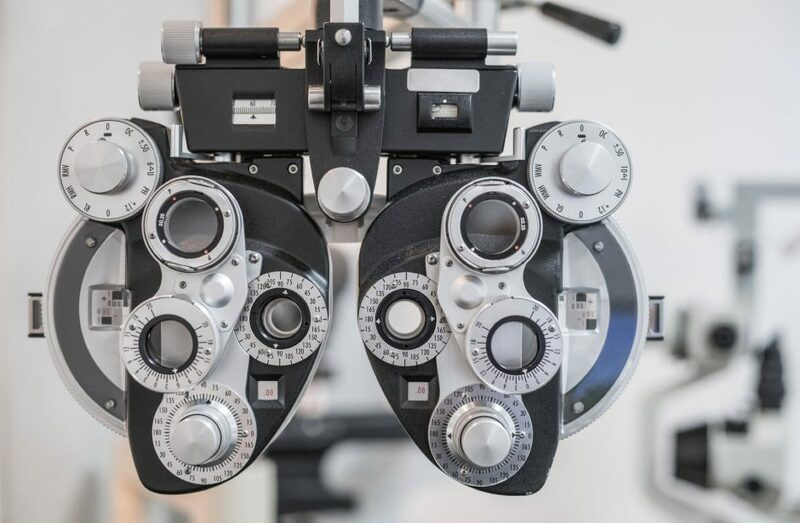 Following this, your eye doctor will diagnose your condition and form a treatment plan, which could include medication, surgery, or the prescription of eyeglasses/lenses.